Home Giveaway	Urban Decay Born To Run Giveaway! I just wanted to alert you to my Urban Decay Born To Run Giveaway! 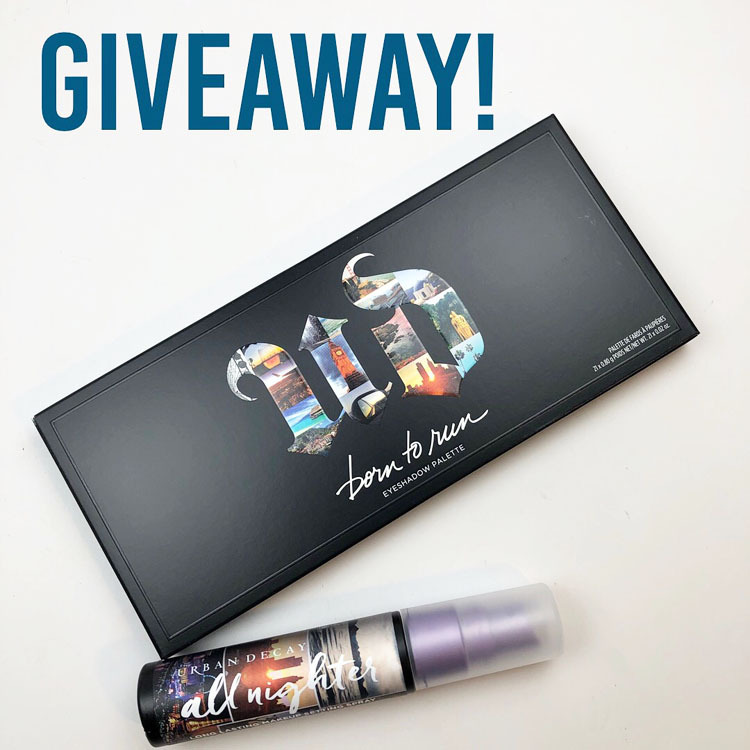 I am giving away the brand new Born To Run Eyeshadow Palette and a travel-sized All Nighter Long Lasting Makeup Setting Spray to one lucky person. This is open worldwide, but it’s a social giveaway only, so check the widget below to find out how to enter! Zoya Spring 2012 Nail Collection Giveaway!